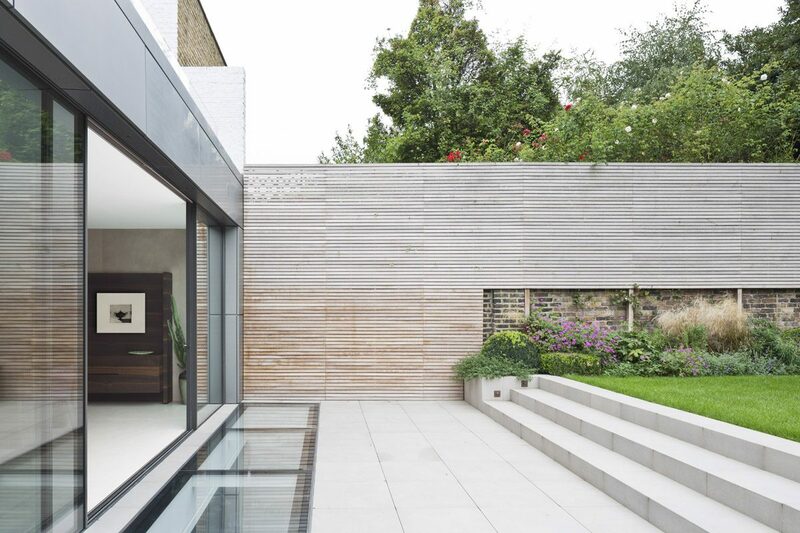 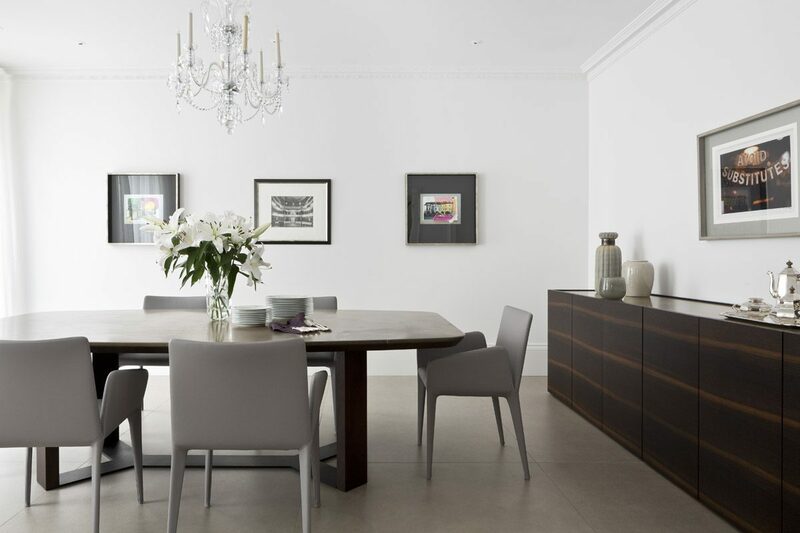 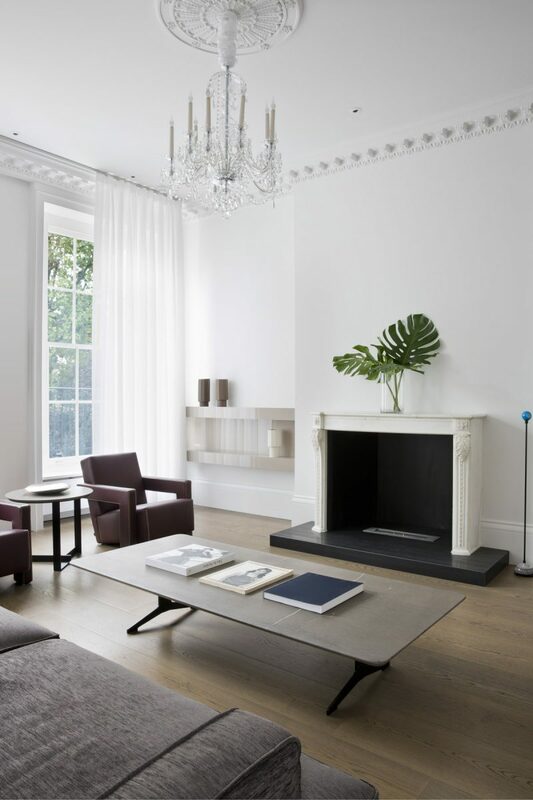 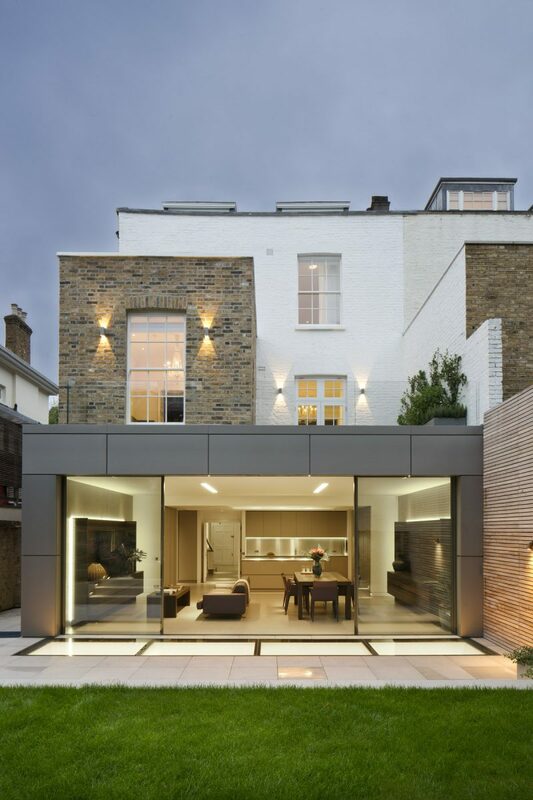 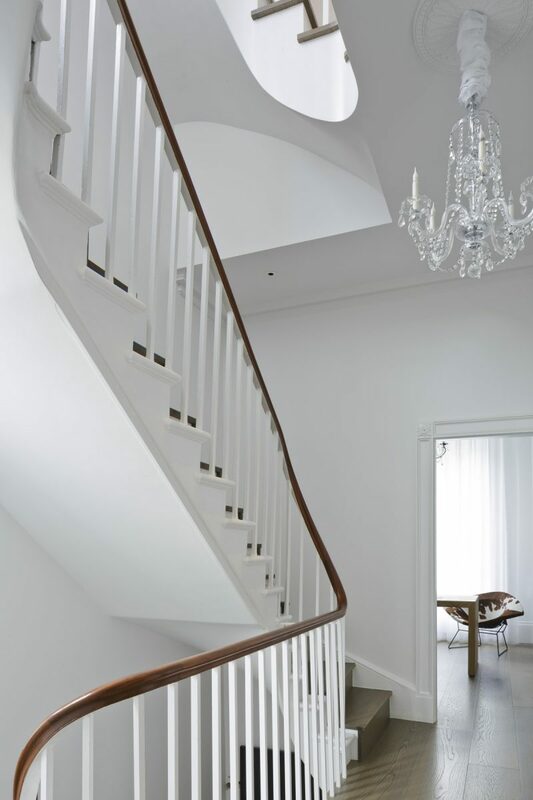 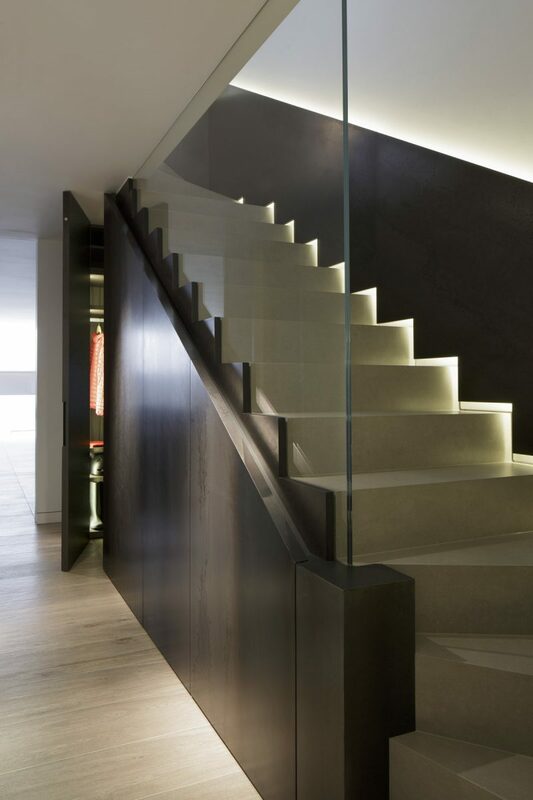 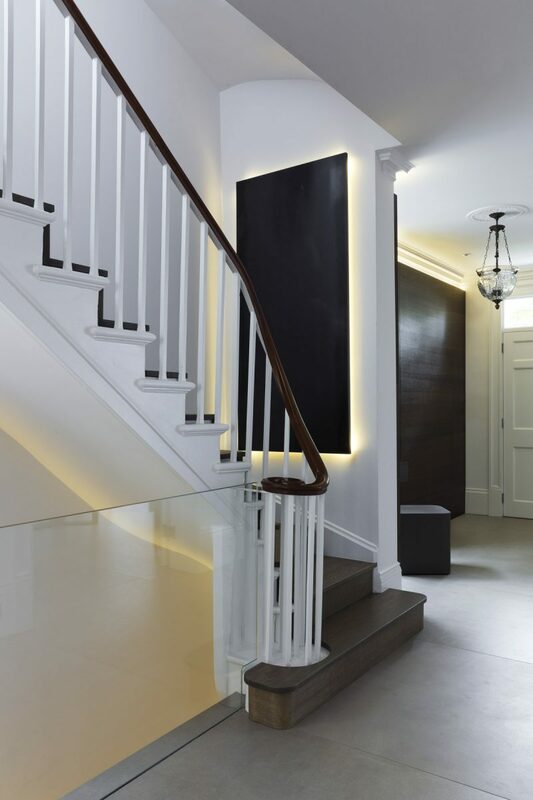 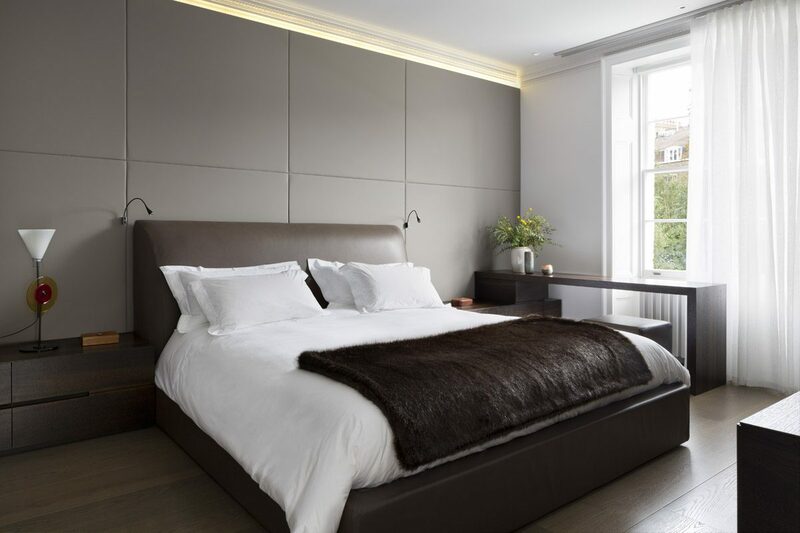 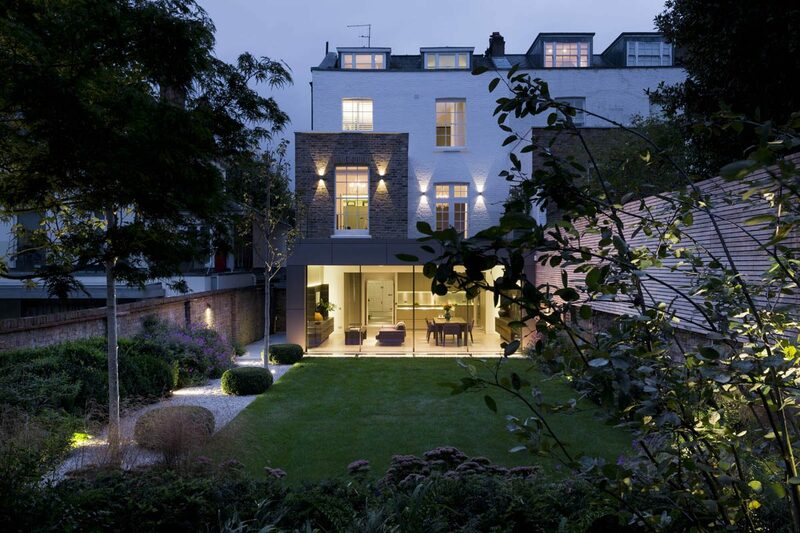 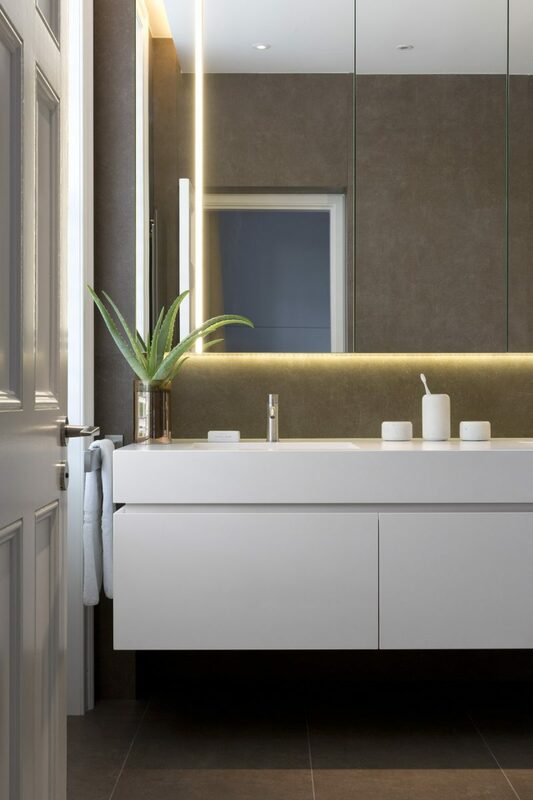 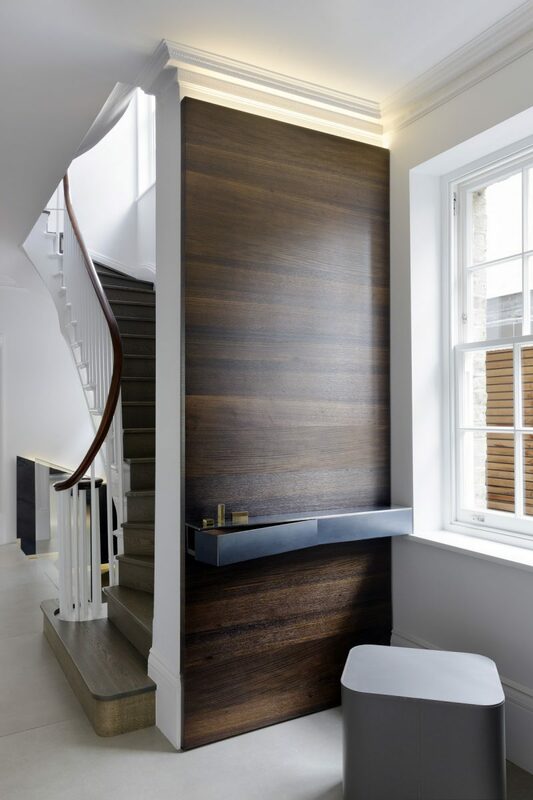 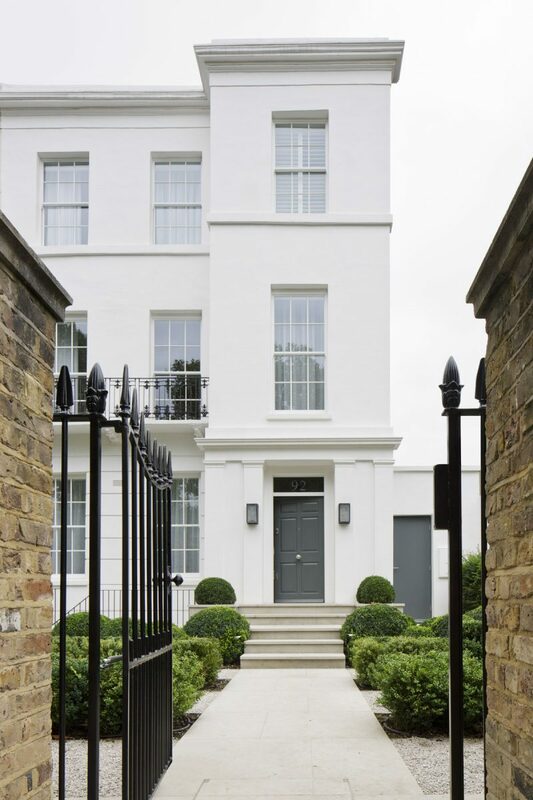 Located in Hamilton Terrace, in one of London’s premier area, this unique and spacious house of 585 sqm is the result of a total renovation of a five-storey Victorian building. 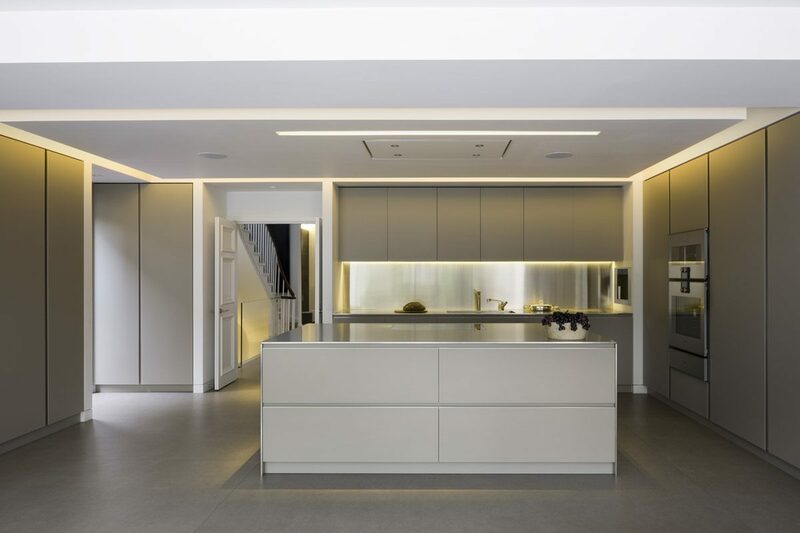 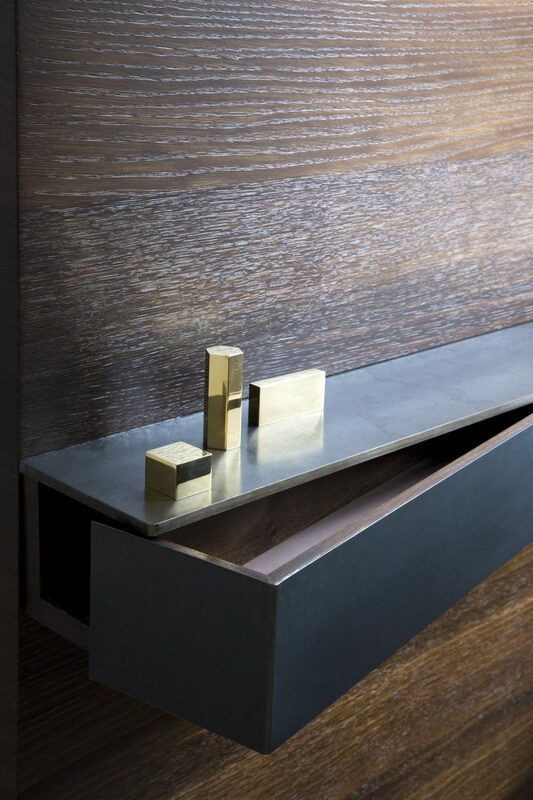 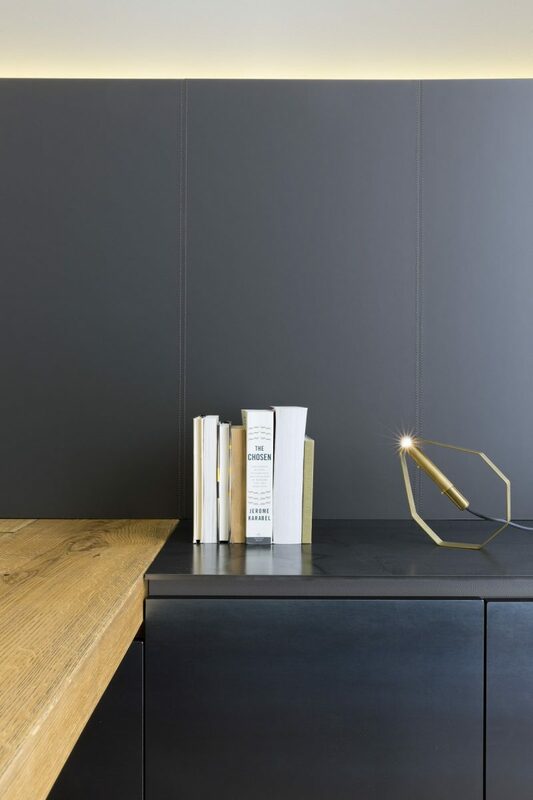 Mario Mazzer Architects has designed an interior decor driven by the search for an understated elegance: pure lines, refined materials in warm tones such as Spessart oak, melamine iron, full-grain leather. 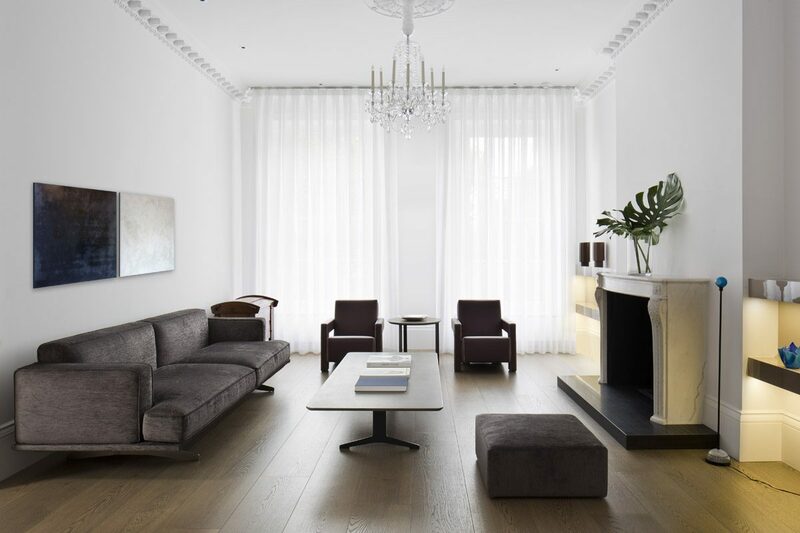 The decor is totally custom-made, and the few series products are from historical design companies (Bonaldo, Cassina, Jesse). 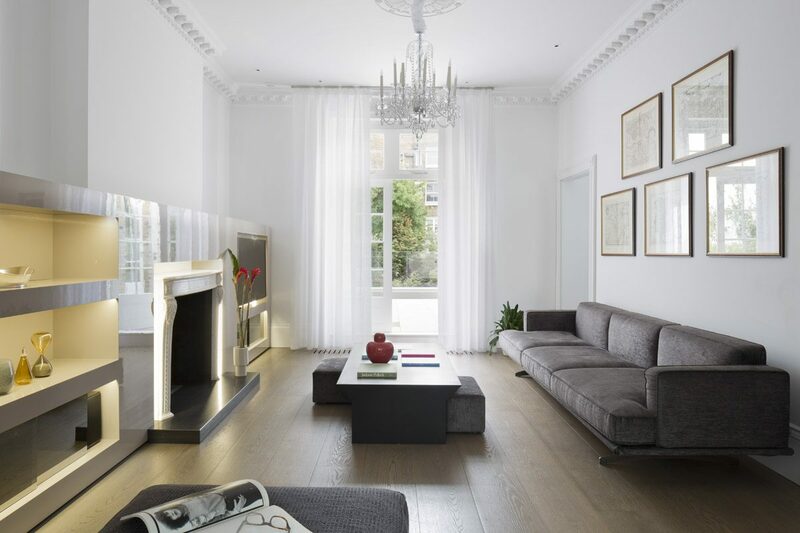 Great importance has been given to the lighting system: the original chandeliers have been mantained and Strip LED enlighten the Victorian cornices that decorate the ceiling.